new: Listen to a rare, very early Casey Kasem recording on KRLA, Pasadena, CA from May 27, 1965 (MP3-file, 192 kBit/s mono - 87,080 KB / 1 h 2 min) with commercials - most of them done by Casey himself ! 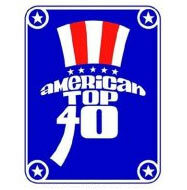 Listen to the very first words of the very first AT40-show from July 4, 1970 (MP3-file, 128 kBit/s - 674 KB / 43 s)! Listen to the whole show from July 4, 1970 (MP3-file, 128 kBit/s - 134,849 KB / 2 h 24 min) without commercials (original time with commercials was about 3 hours)! # Letter from Westwood One Entertainment to me, dated May 29, 1997, pre-announcing that my Request and Dedication for “Casey’s Top 40” will be broadcast on June 7, 1997 (MP3-file, 192 kBit/s - 8,878 KB / 6 min). This R&D was in memory of my late friend Peter Sager who fell from the Matterhorn. # Casey Kasem personally also gave me a phone call! 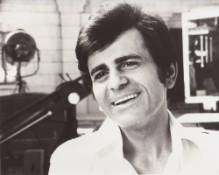 Listen to the Top 10 of 77-year-old Casey Kasem's very last countdown show (AT20) from July 4, 2009 (MP3-file, 128 kBit/s - 64,876 KB / 1 h 9 min) without commercials! Comment: The “Long Distance Dedication” is from a listener who thanks Casey for counting down the hits for 39 years. Between #2 (with the ironic title “If Today Was Your Last Day”) and #1 Casey himself gives a brief history of his countdown programs and how they grew over the years. And after the #1 (which, by the way, is ironically titled “[Sometimes Goodbye Is A] Second Chance”) he states this wisdom: “I'd like to share with you something I've learned over the years: Success doesn't happen in a vacuum. You're only as good as the people you work with, and the people you work for. I've been lucky; I've worked for and with the very best!” Casey ends the show with - of course - his legendary tagline “Keep your feet on the ground, and keep reaching for the stars!”. General: Most shows were recorded from re-runs on a radio station livestream. Some "Extras" were added recently (done by a different host). Recording was done with "No23 Recorder". Commercials were manually cut out using "Audacity". All playlists were created by myself and contain new entries, re-entries, "Extras", "Specials", "Archives", "Oldies", "Recaps" (top 3 songs of last week) and "Long Distance Dedications". The data volume that my webhost “bplaced” allows is already almost used up. So, unfortunately, there will be no more updates! Everything on display is for free. Nevertheless any voluntary donation would be warmly welcome because of the enormous amount of work (and money) that my service implies: doing the recording (or buying the shows), cutting out the commercials and writing the playlists (including data research). My recommendation is 2.00 € per show (which I consider a discount price). This website is powered by my special donor Kevin Makler! You can find my whole audio collection if you click HERE!